SACRAMENTO, Calif. /California Newswire/ — This past week, Calif. Governor Edmund G. Brown Jr. announced the following appointments for July 31, 2014 including: Lael Hepworth, 39, of Orting, WA, has been appointed administrator at the Veterans Home of California, Chula Vista. Hepworth has served as superintendent at the Washington Soldiers Home since 2013. He was an administrator at Meadow Park-Extendicare from 2011 to 2013, at Nehalem Valley Care Center in 2011, at Prestige Care from 2010 to 2011 and at Avamere Rehab of Salem from 2006 to 2010. Hepworth was senior business and application analyst at Boise Cascade from 2001 to 2005 and served in the U.S. Army National Guard from 1993 to 2002. This position does not require Senate confirmation and the compensation is $125,004. Hepworth is a Republican. Kari Krogseng, 40, of Sacramento, has been appointed chief counsel at the California Department of Finance, where she has served as assistant chief counsel since 2014. She served as deputy attorney general at the California Department of Justice, Office of the Attorney General from 2012 to 2014 and acting deputy legal affairs secretary in the Office of the Governor from 2012 to 2013. Krogseng was an associate at Remcho Johansen and Purcell LLP from 2005 to 2012 and at Bingham McCutchen LLP from 2001 to 2004. She earned a Juris Doctor degree from the University of California, Berkeley School of Law. This position does not require Senate confirmation and the compensation is $145,008. Krogseng is registered without party preference. Jeffrey Uyeda, 58, of Sacramento, has been appointed executive partner at the Financial Information System for California. Uyeda has served as assistant chief of the California Department of Technology, Office of Technology Services since 2012. He served as deputy director of administration at the California Highway Patrol from 2010 to 2012 and was manager of multiple awards programs at the California Department of General Services from 2009 to 2010. Uyeda was business development executive for IBM’s state and local government practice from 2004 to 2009, strategic account director at Oracle Consulting from 2003 to 2004 and director of business development at IBM from 1999 to 2003. 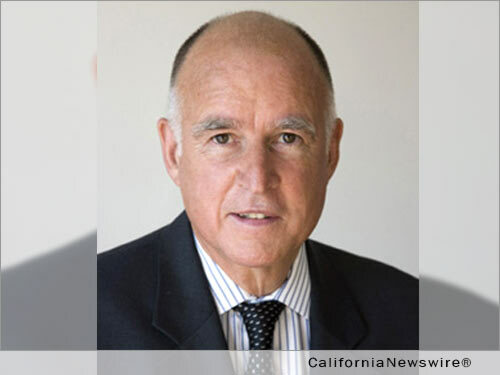 He served in several positions at the California Secretary of State’s Office from 1995 to 1999, including assistant secretary of state and chief of the Management Services Division. He was chief of accounting and financial services at the California Department of General Services from 1991 to 1995, chief of the Audit and Rate Development Section at the California Department of Corrections from 1990 to 1991 and assistant budget officer at the California Department of General Services from 1988 to 1990. Uyeda is a member of the California Asian Pacific State Employees Association. This position does not require Senate confirmation and the compensation is $144,876. Uyeda is a Democrat. Kathy Bowler, 59, of Sacramento, has been appointed to the California Veterinary Medical Board. Bowler has been a political consultant at the K. Bowler Group since 2009. She was the California director for Gore 2000 in 2000 and executive director of the California Democratic Party from 1995 to 2009. Bowler was chief executive officer at Statewide Information Systems from 1987 to 1993 and consultant for California State Senator David Roberti from 1985 to 1987. This position does not require Senate confirmation and the compensation is $100 per diem. Bowler is a Democrat. Troy Rathburn, 36, of Chico, has been appointed to the Area Board II of the California State Council on Developmental Disabilities. Rathburn has been a bus guide level II at Mains’l Services since 2010. He is a member of People First’s Paradise chapter, where he has held several positions since 1999, including sergeant of arms, vice president, treasurer and president. This position does not require Senate confirmation and there is no compensation. Rathburn is a Republican. Darren Thompson, 49, of Hollister, has been appointed to the California Rehabilitation Oversight Board. Thompson has been sheriff-coroner of San Benito County since 2011. He held several positions at the Watsonville Police Department from 1988 to 2011, including lieutenant, sergeant, detective, field training officer and traffic officer. This position does not require Senate confirmation and there is no compensation. Thompson is a Republican.